Most likely, these towers were built during the Byzantine occupation (mid 6th century AD – 1st half of the 7th century AD). 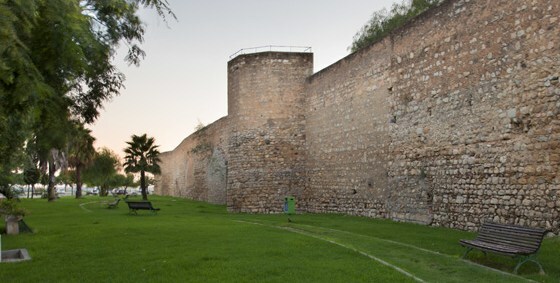 These pentagonal shaped fortifications are characteristic of the Byzantine military architecture, probably a remnant of the pre-existing Roman walls. These towers were built to reinforce the existing walls.